How does the app store submission process work? I'm having trouble sizing my images correctly for the customized Mobile App. What's going on? What will publishing and managing a Customized Mobile App on my own entail? Can listeners download my published episodes from the apps? What information can I edit once the Customized Mobile App has been published? Will the iPhone app work on any iOS device? What about the Android app? Can users be sent "push notifications"? Take a look at how a customized mobile app can help your audience and brand grow. Create a new app in the store, using all the information you've provided (app icon, description, etc.). Upload the app binary to the store (which will then be available for download in approximately 6 hours). This procedure will take up to 3 working days. Please note: in order to allow Spreaker to publish the app, you need to have your own Google Play account for Developers. Read this guide carefully. Build the mobile app with all the information you provided. Create the app binary and the app screenshots. Send you an email with the link to download the package.zip. Once you downloaded the package, you’ll need to digitally sign the app and upload the app binary to the App Store. To complete the process you need a Apple Developer account with the App Store and a Mac computer. Read our step-by-step guide that will help you with the process. The app will then be placed in a "Pending Review" state, to eventually be reviewed by Apple. The app is then reviewed by Apple (usually within 2 working days, though there are no time guarantees). If the app is approved, it will be available for download in the App Store within a few hours. If the app is rejected, you can make the necessary changes and then re-submit. In that case, please contact us if you need further assistance. Since all apps have to adhere to certain standards in order to be properly built, there are very strict guidelines on making sure that images are the correct size, each requiring its own parameters. For example, a splash screen on the Android app must adhere to all three requirements: it must be a PNG file, 720x960 pixels, and no bigger than 1MB. So, if your image is a PNG file, 720x960, but bigger than 1MB, it will result as an error. Open a free online image editor, like BeFunky. Make sure that the image you're going to use is wider or equal to 960 pixels in width and 720 pixels in height. 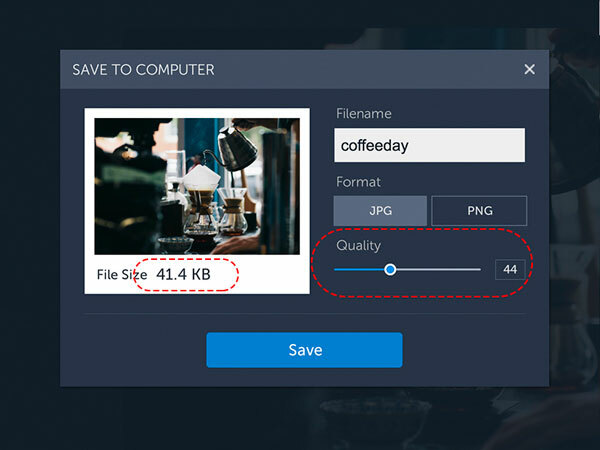 Click the "Upload" button on the top bar and choose that image from your computer. First let's save your image as a .JPG and reduce its quality a bit. To do that, click the "Save" button on the top bar, next to where it says "Upload". Set the format to .JPG and drag the quality slider to 40-50% or so (depending on your image). Save it once more. 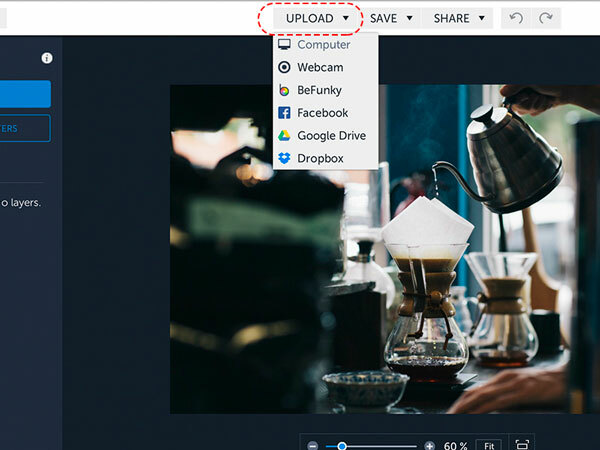 Now, click the "Upload" button again and this time upload the image you just saved. 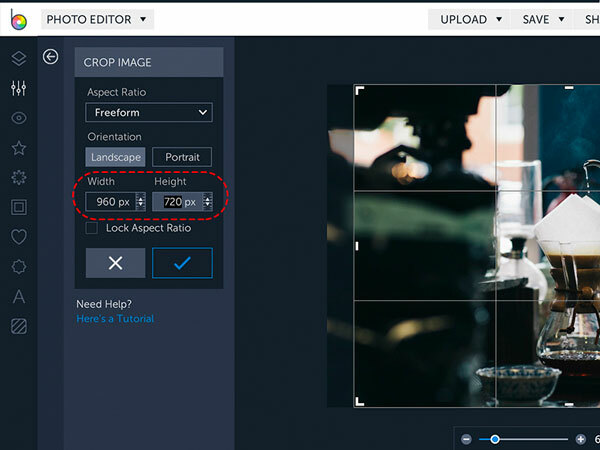 Choose "Crop" from the menu on the left side and crop the image to 960x720. 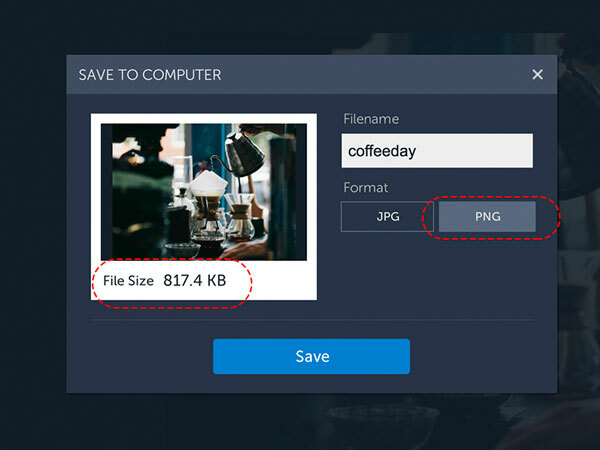 Now you can save your image as a PNG, making sure that the file size is less than 1MB. If it's still more than 1 MB, you can repeat steps 1-2 until you've finally reached the desired size. What will publishing and managing an Android Mobile App on my own entail? When you order an Android Mobile App from Spreaker, you'll be presented with two options: either Spreaker can submit, publish, and manage the app for you, or you can do it on your own. First, make sure you get the proper accreditation as a developer on Google Play ($25 one-time fee). Second, you'll have the ability to manage and change the app's parameters, completely autonomously, to your tastes (for example: you can opt for App Store optimization). You can choose to charge through your app for every download it gets (whereas when managed through us, listeners will be able to download the app for free). Android listeners can download published episodes, as long as downloading has been enabled for them in the first place. iPhone users, however, cannot download any episodes. As you put together your app in the edit page, you'll see two tabs at the top. All the info you include under the Customization tab can be changed even after the app has been published. What you include under App Store Info, however, cannot. Info that cannot be changed includes: app name, images, description, and contact email address. The apps will work on any device with the latest operating systems. The apps are built with smartphones in mind, but they will also work on tablets, just in bigger dimensions. At the moment there are no push notifications set for the app.